The topline to a post-race story for Formula E can actually be standardised thanks to the unpredictability and drama which this season has brought: __ races, __ different pole-sitters & __ different race winners, from __ different teams! Apologies if it feels like we’ve taken you back to ‘fill in the blanks’ days of school, but that’s just how Formula E has been this season. 7 races, 7 different pole sitters, 7 different race winners from 7 different teams — the math as it stands after this weekend’s Rome ePrix. 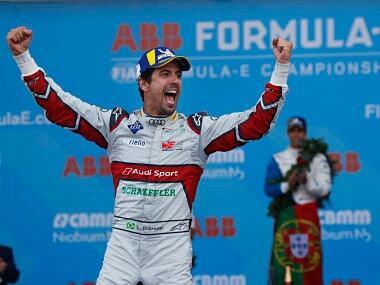 This means that the current season of Formula E is yet to see a repeat winner for the Drivers’ and the Teams’ championships. Mitch Evans of Jaguar Racing won the Rome ePrix ahead of Techeetah’s Andre Lotterer and HWA Race Lab’s Stoffel Vandoorne. This was Evans and Jaguar Racing’s first career win in Formula E. Envision’s Robin Frijns finished 4th and was followed by the Nissan duo of Sebastien Buemi and Oliver Rowland; while Lucas di Grassi (Audi), Jerome d’Ambrosio (Mahindra), Antonio Felix da Costa (BMW) and Pascal Wehrlein (Mahindra) being the other points scorers in the top-10. Andre Lotterer scored another first this weekend — his first career pole position in Formula E, as he mastered the damp conditions in qualifying. Lotterer out-qualifying his nearest rival, Mitch Evans, by three and half tenths while Sebastian Buemi was more than four seconds adrift to end the Super Pole session 6th and last. 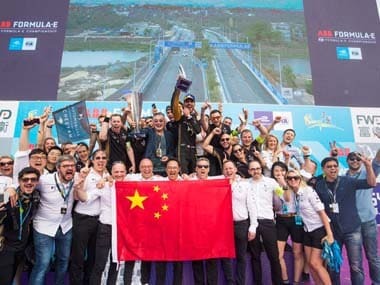 Venturi driver and winner of the 2019 Hong Kong ePrix, Edoardo Mortara, missed the Super Pole session by eight-hundredths of a second and started the race from 7th place. Expectedly, the lap-times in the qualifying session were close with only 1.4 seconds separating the top-20 drivers. Like we have expressed in our earlier posts, the group-based qualifying session has ensured a mixed up grid at almost every ePrix of the season — here too, from the top-5 drivers in the Drivers’ Championship, Evans was the only driver who managed a lap that helped him secure a front-row start. The other 4 drivers qualified outside the top-10. The current season is half-way through and as things stand, only one driver has converted a pole position start to a race win. This statistic proved to hold true even in the Rome ePrix after Evans overtook Lotterer for the lead — this is after chasing him down for nearly 30 minutes from the start of the race. The Lotterer-Evans duel was a treat to watch as both drivers battled over every inch of the track and the barriers, literally. Their race leading pace was super quick — one that Vandoorne in 3rd, couldn’t match. In fact, such was the pace that the leading duo were asked to slow down and manage their battery usage a few minutes before the end of the race. The Rome ePrix was red flagged on lap 1 after a collision caused a traffic jam on-track. Gary Paffett, HWA Race Lab’s other driver, was involved in an incident with Dragon’s Jose Maria Lopez that saw the race be temporarily halted for nearly an hour as track repairs took place. Lopez was awarded a drive-through penalty for his part in the collision — this was in addition to causing damage Sam Bird’s (Virgin) car. In fact, the Dragon Racing team that is in the bottom of the Teams’ Standings and have scored just once this season lost out on an opportunity to resurrect their campaign after their drivers started the race 3rd (Lopez) and 5th (Gunther). After the restart, the race ran relatively straightforward and it was possibly helped by the drier conditions. Apart from the Lotterer-Evans battle, there were several skirmishes up and down the order as the bunched up field found it difficult to overtake around the Circuito Cittadino Dell'Eur, one that is broad in the straights but fairly tight around the bends. As the race progressed, both the Venturi Racing cars (Mortara and Massa) retired while running in the points due to a suspected driveshaft issue. 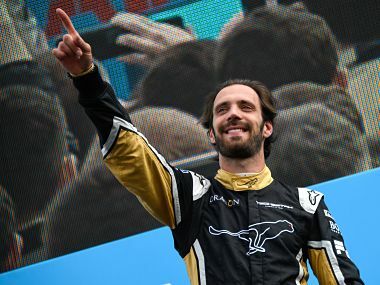 Jean-Eric Vergne, the reigning champion, ran a decent race to 7th after being involved in the Paffett-Lopez clash on the opening lap. However, a strange overtake under Full Course Yellow conditions saw the Techeetah driver be penalised with extra time — one that saw him finish outside of the points for the fourth time in the last five races. The surprise result of the ePrix was Stoffel Vandoorne’s 3rd place finish — also his first career podium in Formula E. After showing form in the last few races, the Belgian driver has retired due to reliability issues and luckily for him, his HWA Race Lab car picked up a mechanical issue only after he crossed the chequered flag. Evans’ win with Jaguar Racing is well-timed. 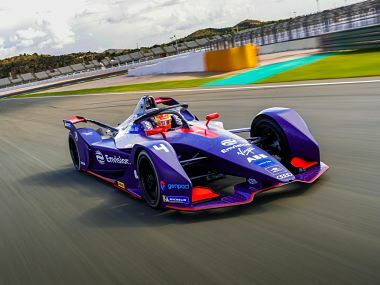 It was in the lead up to this race when his more-experienced team-mate and the champion of Formula E’s inaugural season Nelson Piquet Jr. was replaced with another young driver, Alex Lynn - a former GP3 Series champion. For Mahindra Racing fans, the team scored a double points finish with d’Ambrosio in 8th and Wehrlein in 10th. In the Drivers’ Championship, only 13 points separate the top-9 drivers. The championship has been so closely fought that d’Ambrosio, who has scored just 12 points in the last 3 races, finds himself back in the lead by 1 point, ahead of BMW’s da Costa. Lotterer, who is yet to win a race but has been a consistent scorer through the season, is in 3rd and only 3 points away from d’Ambrosio. Evans jumped to 4th place after scoring 25 points for the race win. In all, the Drivers’ Championship is anyone’s for the taking and consistent points scoring could pay dividends rather than spikes in performance. In the Teams’ Championship, Techeetah are the new leaders with 116 points - boosted by Lotterer’s second-place finish. Virgin Racing trail them in 2nd place by 7 points while Audi and Mahindra Racing are 3rd and 4th with 102 points each. BMW, the early season leaders, would be disappointed to find themselves in 5th place and 34 points down on the leaders. With 7 teams winning races this season, would we still see any of the remaining teams win a race this season? Well, after coming agonisingly close to winning in the previous few rounds, one hopes that Nissan is able to claim a victory after all before the end of the season.